Our primary focus is ensuring each and every one of our patients leaves with a happy, healthy smile. With our state-of-the-art equipment and clean, comfortable waiting rooms, we provide top quality dental service. 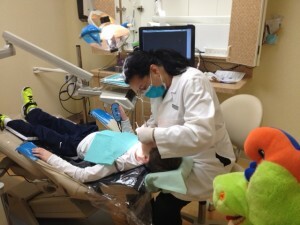 Looking for a dentistry office where you can bring your children? The whole family is welcome at Alrez Family Dentistry, and we have plenty of experience in children’s dentistry so we know how to make even the most nervous patients feel relaxed. We take a patient-first approach to dental care, meaning that your comfort is of the utmost importance. We also serve patients from Glen Mills and Kennett Square. Additionally, we offer low radiation digital x-rays, affordable laughing gas, an in-house discount plan, and credit and financing. We even accept most insurance plans, making a visit to our office truly affordable. We believe that everyone should have access to quality dental care, so we do our best to make it happen. Oral health is just too important to let cost get in the way. 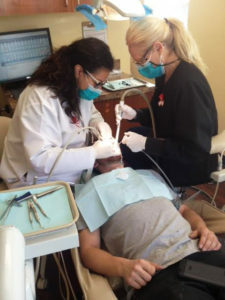 My visit to Alrez Family Dentistry was awesome! I’m not a huge fan of going to the dentist. In fact, I pretty much dread the day as it approaches. But after going to Dr. Alrez, that has completely changed.